New state agency publications have been received at the Nebraska Library Commission for January 2018. Included are reports from the Nebraska Accountability and Disclosure Commission, the Invest Nebraska Corporation, Nebraska’s Coordinating Commission for Postsecondary Education, and new books from the University of Nebraska Press, to name a few. All items, except the books from the University of Nebraska Press, are available for immediate viewing and printing by clicking on the highlighted .pdf link above, or directly in the .pdf below. 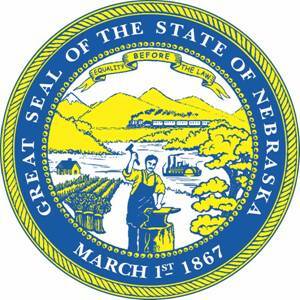 The Nebraska Legislature created the Nebraska Publications Clearinghouse in 1972, a service of the Nebraska Library Commission. Its purpose is to collect, preserve, and provide access to all public information published by Nebraska state agencies. By law (State Statutes 51-411 to 51-413) all Nebraska state agencies are required to submit their published documents to the Clearinghouse. For more information, visit the Nebraska Publications Clearinghouse page, contact Mary Sauers, Government Information Services Librarian, or contact Bonnie Henzel, State Documents Staff Assistant. This entry was posted in Books & Reading, Education & Training, General, Information Resources, What's Up Doc / Govdocs. Bookmark the permalink.